Hillrise Cottage01263 862133work Self-cateringHillrise Cottage is set in a quiet location on the outskirts of Cley-next-the-Sea. 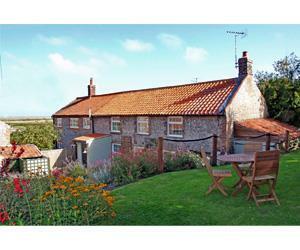 Cley is a pretty, unspoilt coastal village on the beautiful North Norfolk coast, an area of outstanding natural beauty. The village is a Mecca for bird watchers with the award winning RSPB bird reserve at Cley Marshes nearby. The village is exceptionally well served with two pubs serving food, a cafe, delicatessen, smokehouse and gallery. The pretty Georgian town of Holt is a short distance. Handy for the beautiful sandy beaches at Wells and Holkham. The newly renovated accommodation with full central heating and wood burner for the colder months comprises; entrance porch with hanging space, open plan kitchen/living area with original pamment flooring, under floor heating. Exceptionally well equipped kitchen with Redfyre 'Aga style' electric cooker, fridge, freezer, washing machine, dishwasher, microwave, tumble dryer and bread maker. Dining table with seating for 8, comfortable seating area with inglenook fireplace and wood burner. Flat screen TV with freeview, DVD player, Wii and Ipod docking station. Stairs to first floor landing with storage. Master bedroom with four poster bed and en-suite shower room, children's room with twin bunk beds, second double bedroom with double bed, separate family bathroom with bath, shower over, basin and WC. Outside separate single storey annexe with double bed, storage en-suite shower room. Hillrise Cottage is set in a quiet location on the outskirts of Cley-next-the-Sea. Cley is a pretty, unspoilt coastal village on the beautiful North Norfolk coast, an area of outstanding natural beauty. The village is a Mecca for bird watchers with the award winning RSPB bird reserve at Cley Marshes nearby. The village is exceptionally well served with two pubs serving food, a cafe, delicatessen, smokehouse and gallery. The pretty Georgian town of Holt is a short distance. Handy for the beautiful sandy beaches at Wells and Holkham. Pretty garden on three levels leading up to a summerhouse and garden seating. Lovely views from here across the salt marshes and out to sea. Parking for one car with further parking nearby. Wii and Broadband available. Children welcome from any age.